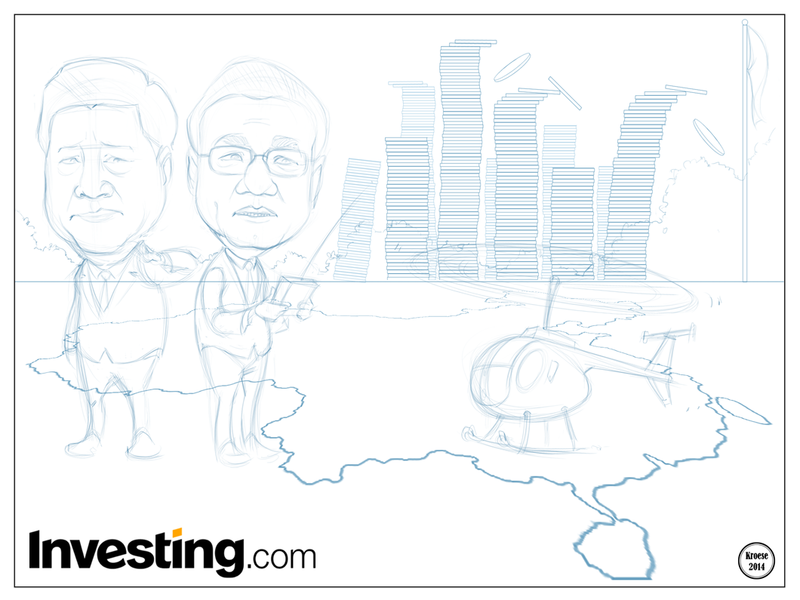 This week's comic for Investing.com had to do with concerns about a possible slowdown for the Chinese economy. A slowdown in the Chinese economy, which for years has been growing at a good clip, could have a number of disconcerting effects worldwide. One of these would be a drop in the price of certain precious metals like copper. 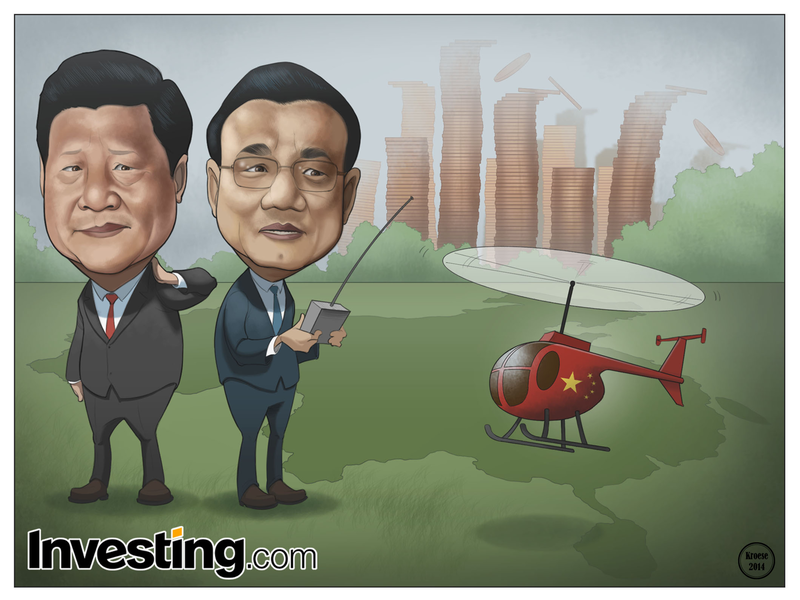 That being the case, I was asked by the team at Investing.com to draw China's President (Xi Jingping) and Prime Minister (Li Keqiang) piloting a remote control helicopter in a park shaped like China. The background was to be a city skyline with stacks of falling copper coins instead of buildings. I was also asked to include the infamous Beijing smog. I tried a couple of different approaches to making the park in the shape of China, but I couldn't figure out how to do it in the limited amount of time I had, so I ended up just making a silhouette of China on the grass. It wasn't the best solution, but c'est la vie. Other than that, I'm fairly satisfied with the way this comic turned out. It isn't my best, but neither is it my worst showing. At this point, I've done over 70 financial comics. The experience has taught me any number of things, one of the most important of which is a sense of equanimity when it comes to a regular, labor-intensive deadline like this one. I could be neurotic about it, but the fact of the matter is that I do the best I can every single week with the amount of time I'm given. I can't offer more than my best, so even when my best effort doesn't yield my best work, I have to accept it.